How much money does Comic-Con make for San Diego? Comic-Con 2013 started last Thursday and runs through Sunday. This year we can expect big headlines from The Amazing Spider-Man 2, The Hunger Games: Catching Fire, Thor: The Dark World, 300: Rise of an Empire and many more awesome TV shows and films. Residents of San Diego, CA may not like that their city gets taken over every year by nerds in superhero costumes, but local businesses sure do. That's because the Comic Con is the largest comic book/sci-fi/pop culture convention in the western hemisphere that subsequently provides a huge boon to the local economy. But exactly how much money does Comic-Con make for San Diego? 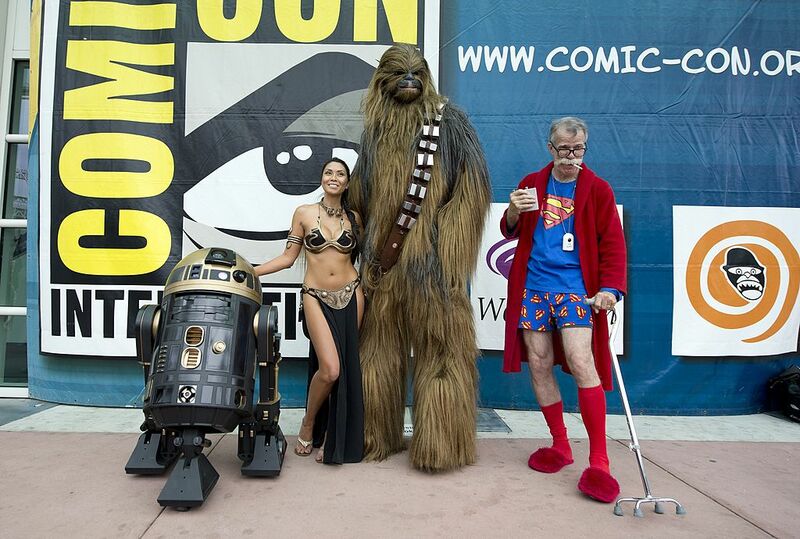 Citizens of San Diego would not be so anti-nerd if they knew how much revenue Comic-Con generates for their city. According to a recent survey, Comic-Con brings in $163 million per year for the city of San Diego! Previous estimates put the figure much lower, between $30-$50M. However, between hotels, restaurants and transportation, the geeks spend well over a hundred million dollars in five-seven days throughout the greater San Diego area. Actually, this new survey figure might actually be conservative, because it only tracked the spending of convention goers who stayed in hotels. Today 50% of Comic-Con attendees are locals or have made other sleeping arrangements outside of hotel rooms. In 2012, the convention attracted more than 150,000 people who booked 40,000 hotel rooms! Hotel revenue accounts for more than $30 million for San Diegons. Another factor is spending on the show itself, which was not accounted for in the survey. One of the main attractions of Comic-Con is the convention hall floor, where geeks empty their wallets to movie studios and comic book publishers selling books, t-shirts, DVDs and exclusives. If every attendee spent an average of $35 on the floor – and we think the actual figure might be a lot higher – that'd be an additional $4.8M! There's talk of Comic-Con leaving San Diego at some point. For the sake of their local economy, they'd better hope the nerds stay in their fare city.